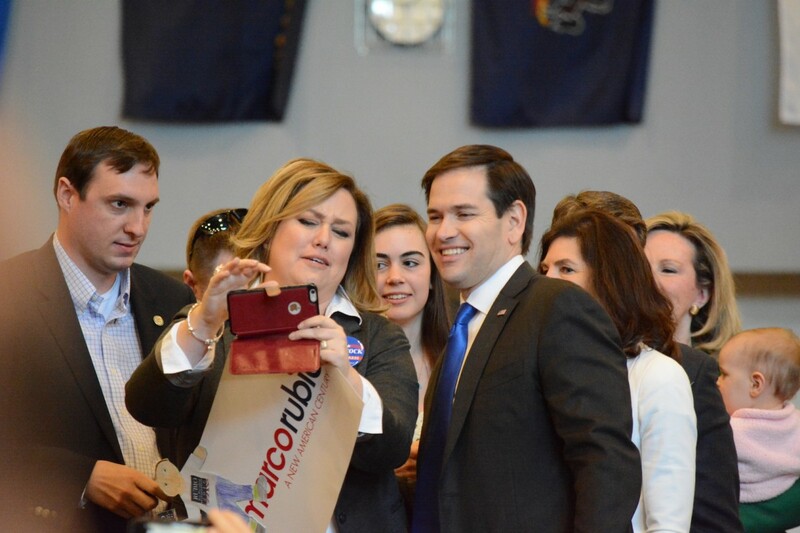 Sen. Marco Rubio (R-FL) signs campaign posters after speaking at a rally at Patrick Henry College. 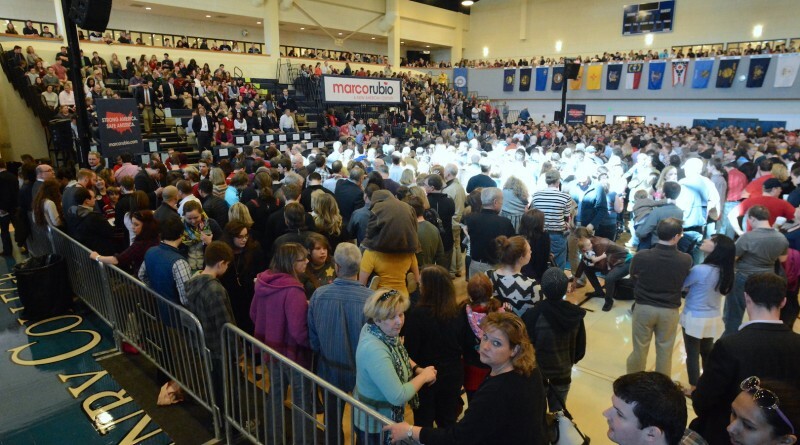 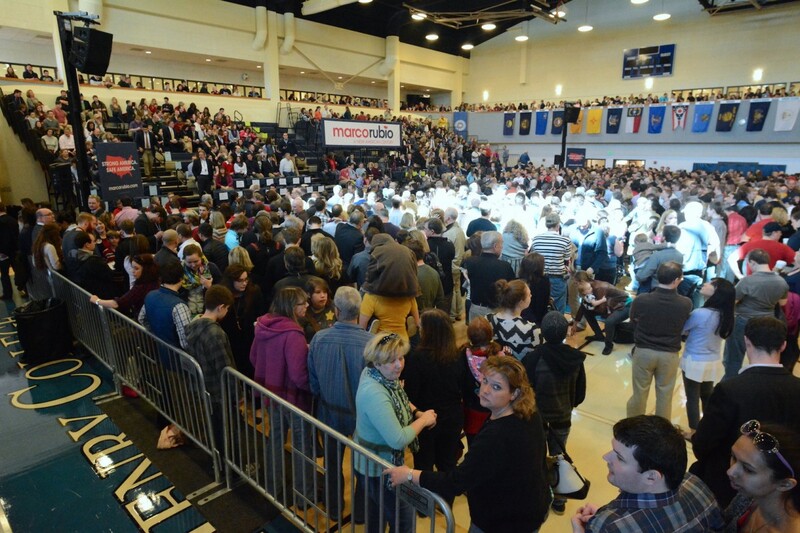 Rubio supporters gather in the gym at Patrick Henry College before the the rally. 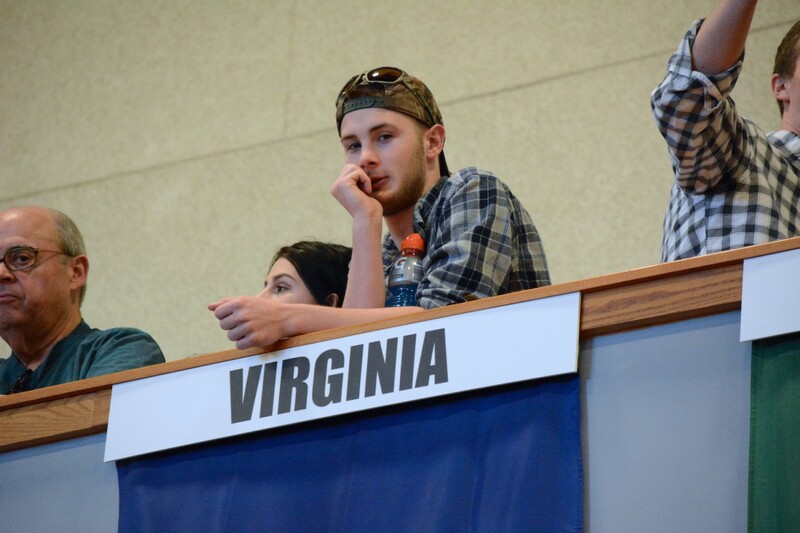 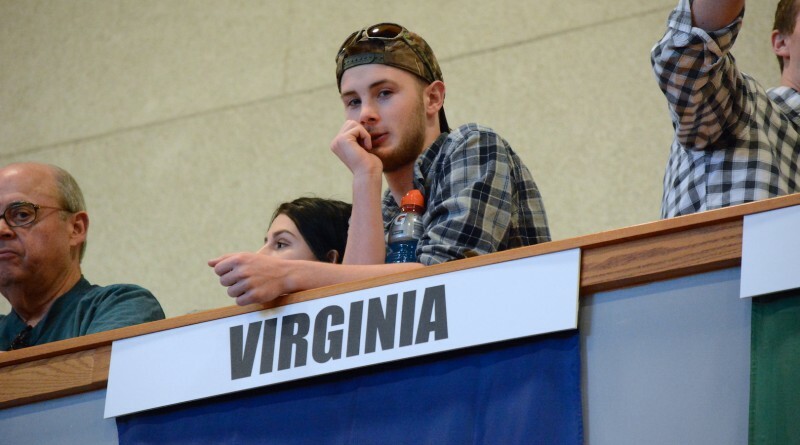 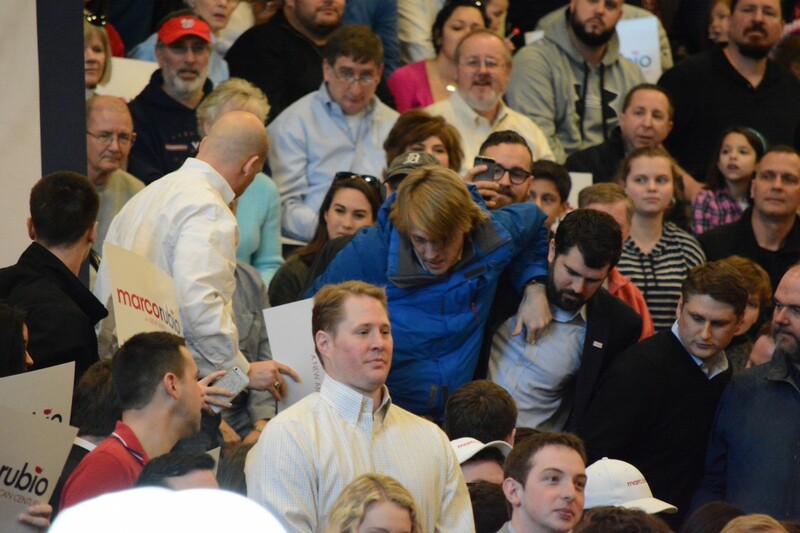 Rubio supporters watch from second-level seating. 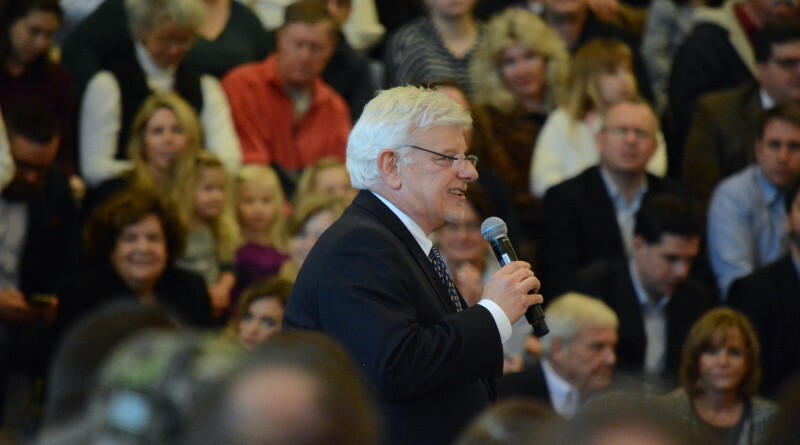 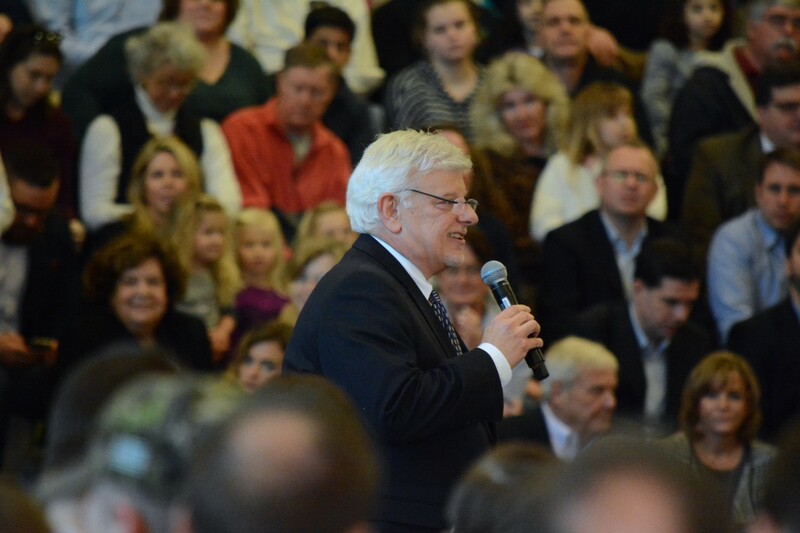 Jack Haye, president of Patrick Henry College, speaks. 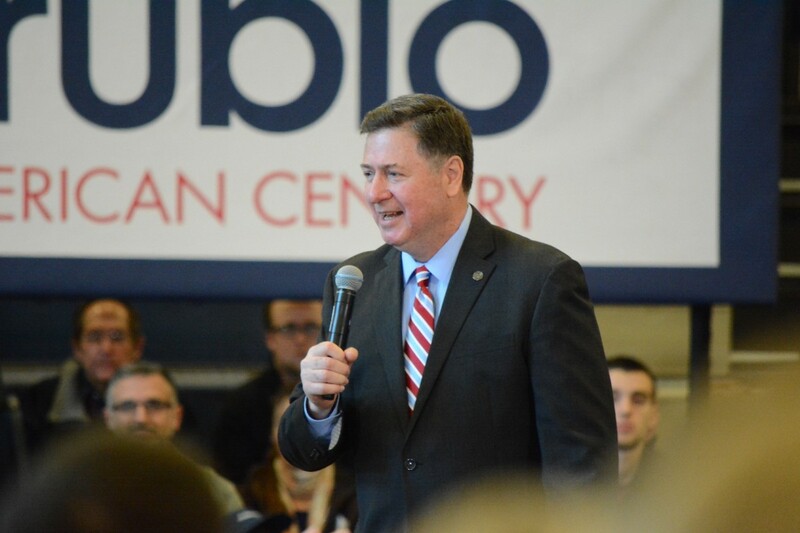 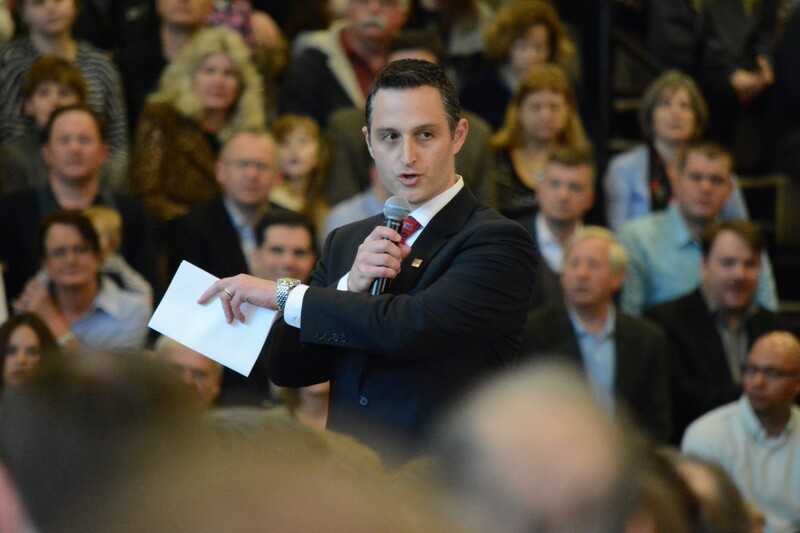 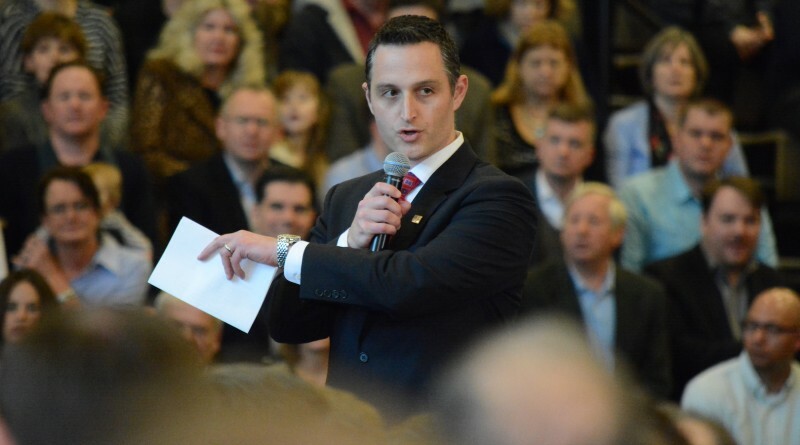 John Witbeck, Chairman of the Republican Party of Virginia, speaks onstage. 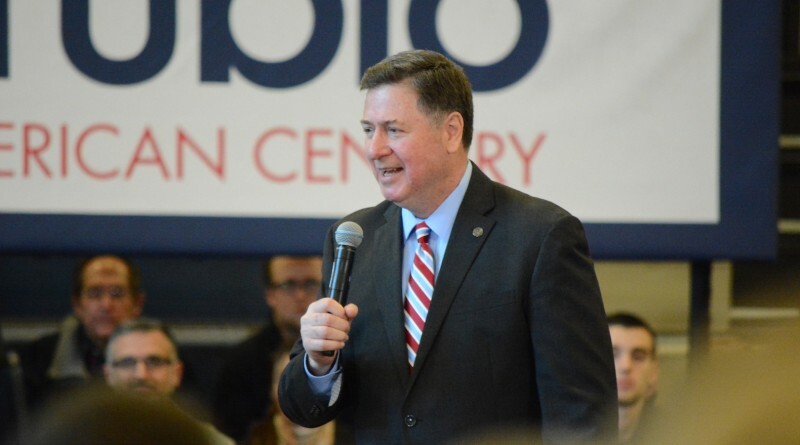 Former Governor George Allen speaks onstage. 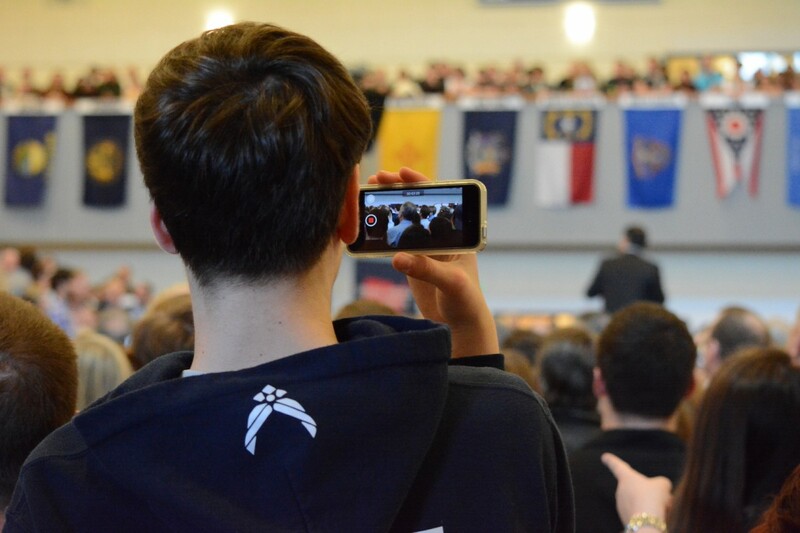 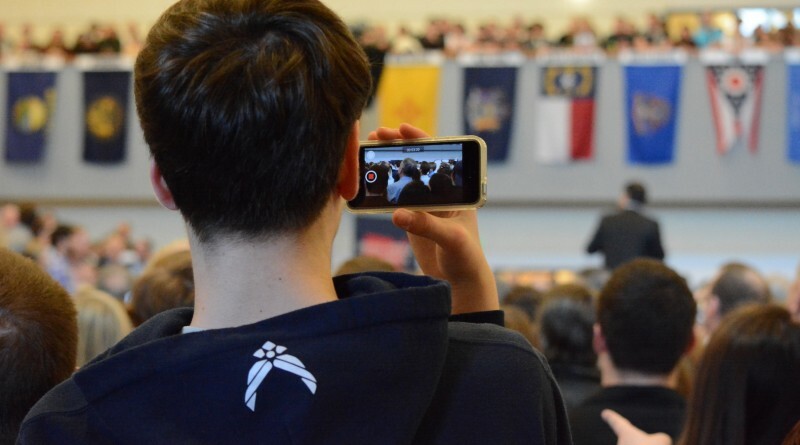 A young fan records the rally on his phone. 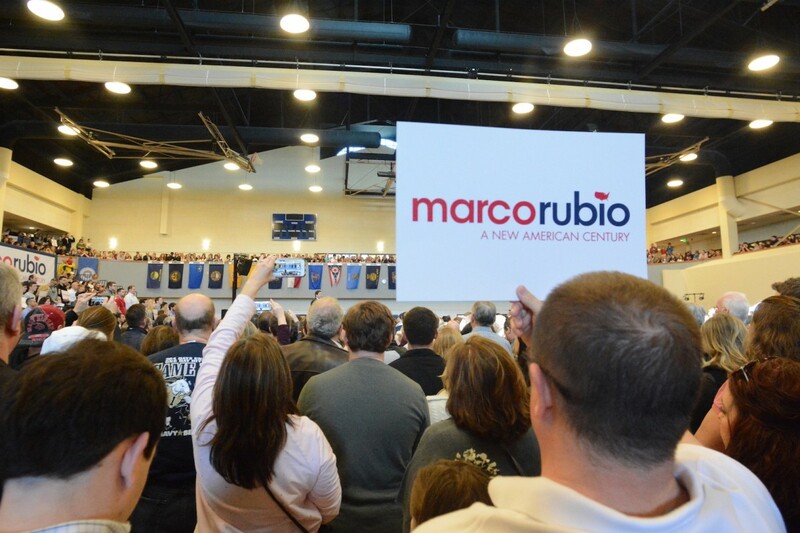 People crowded into the gym with signs. 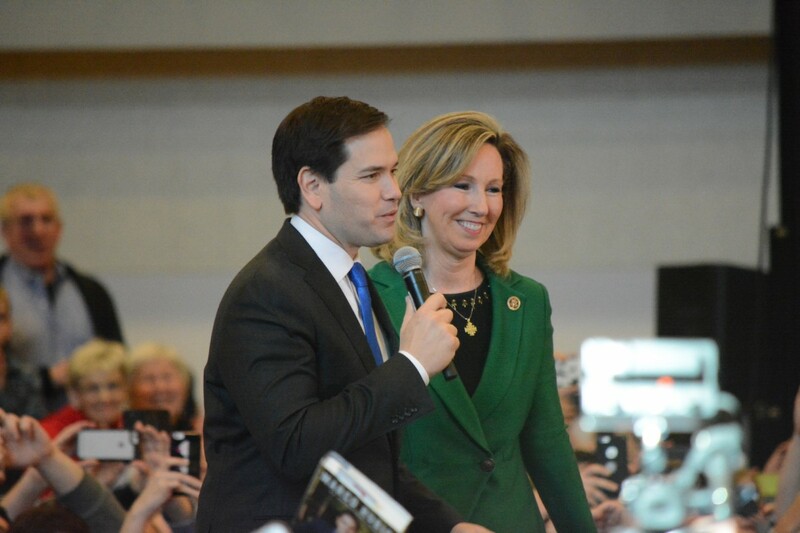 U.S. Sen. Marco Rubio (R-FL) and Rep. Barbara Comstock (R-10-VA) meet onstage. 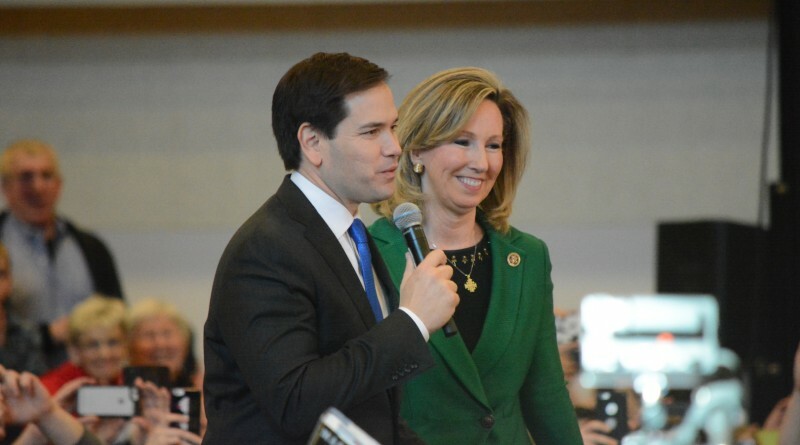 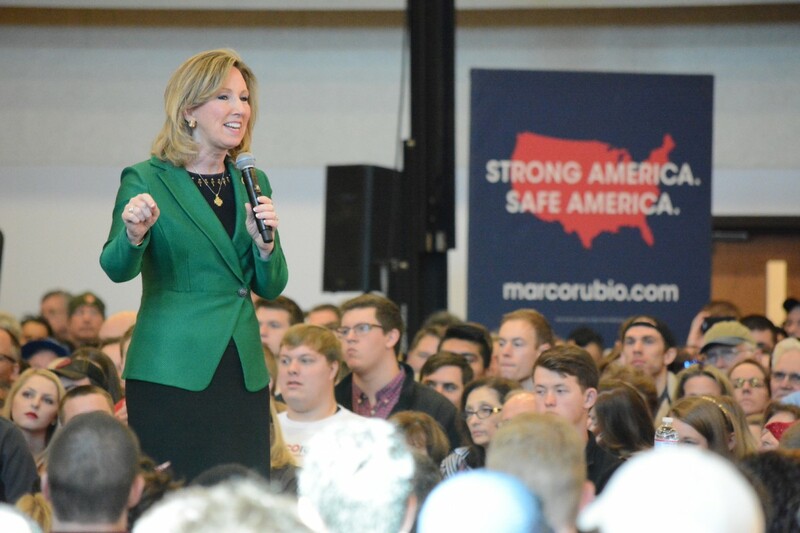 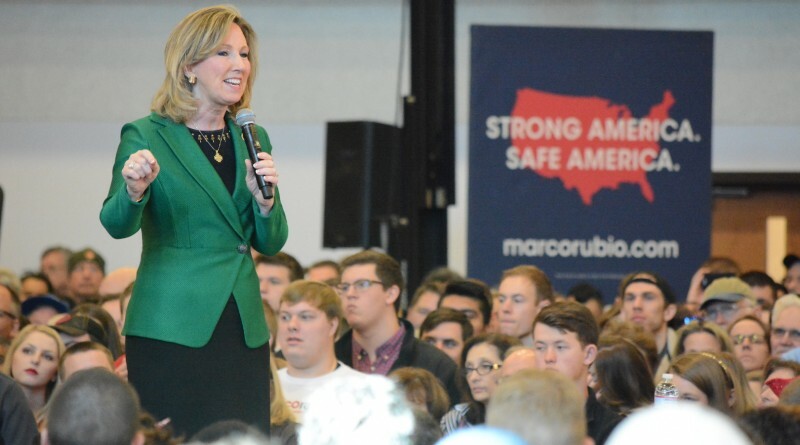 U.S. Rep. Barbara Comstock (R-VA-10) introduces Sen. Marco Rubio (R-FL). 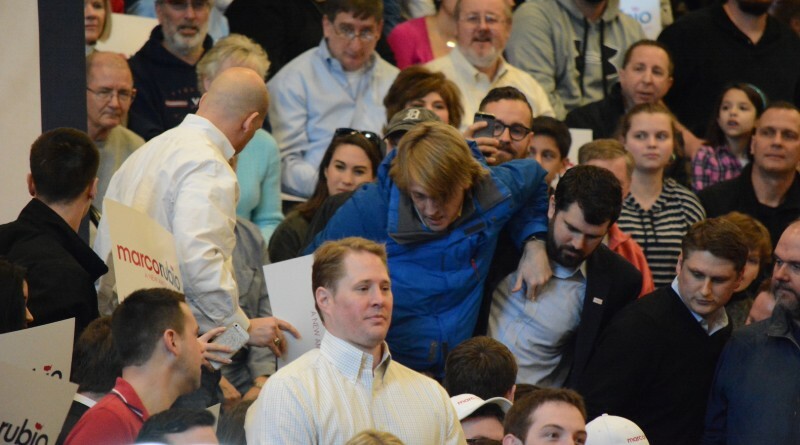 A heckler is escorted out of the rally. 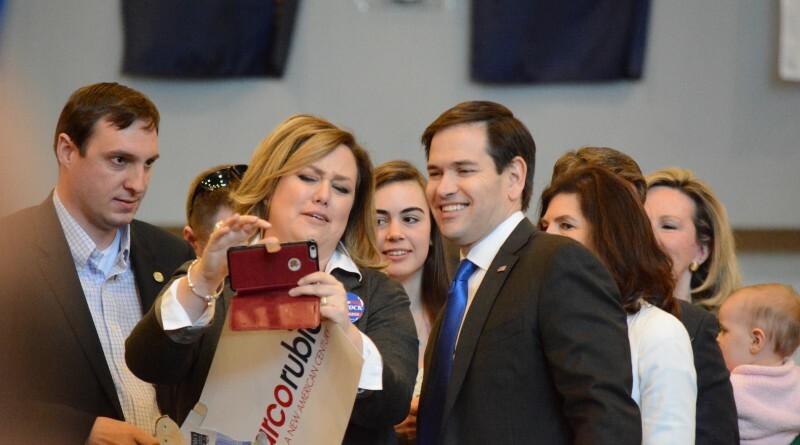 Local supporters, including School Board member Jill Turgeon, take selfies onstage with Rubio. 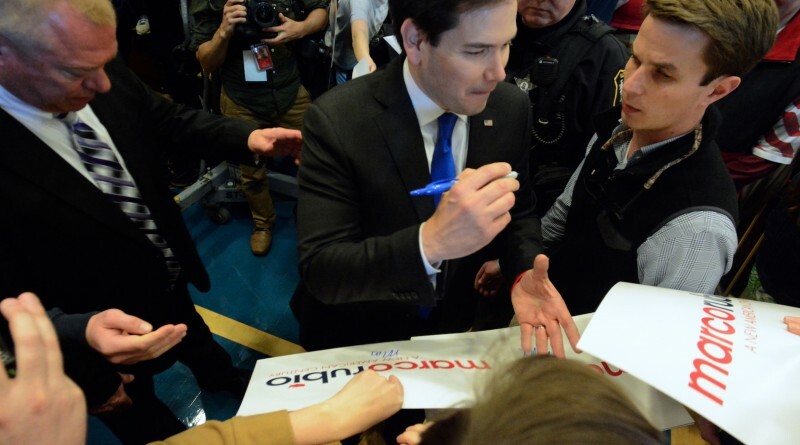 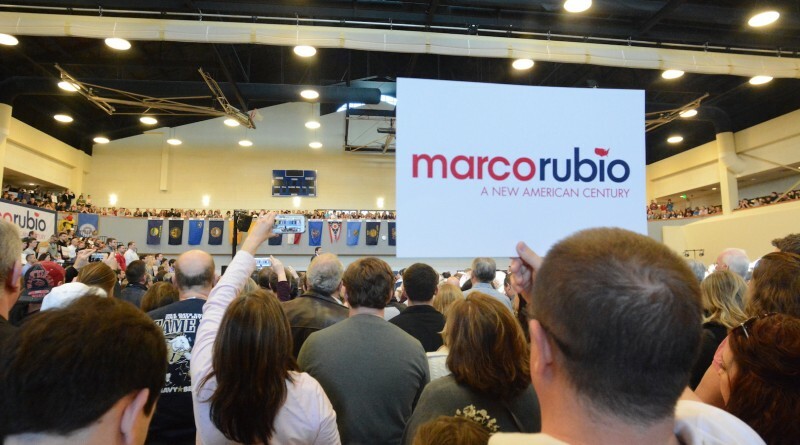 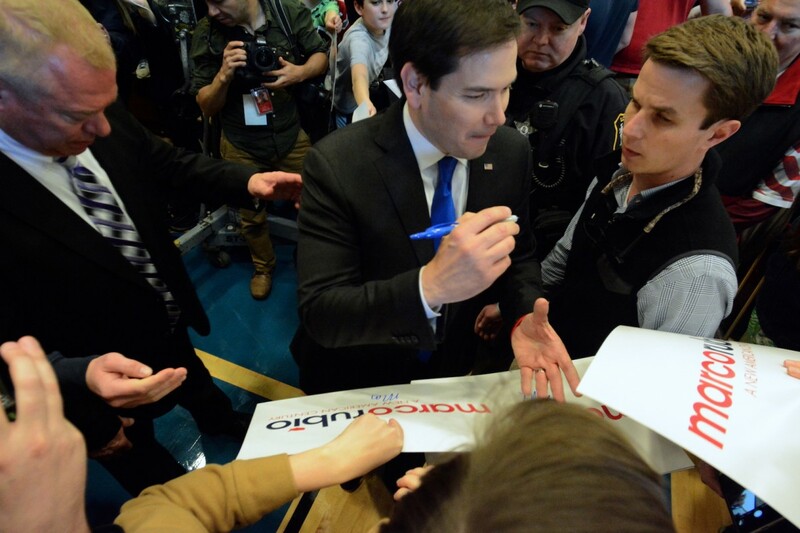 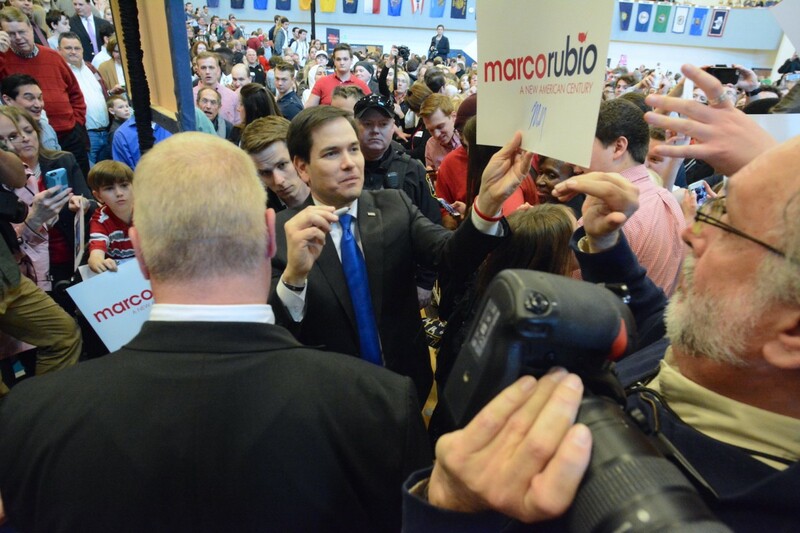 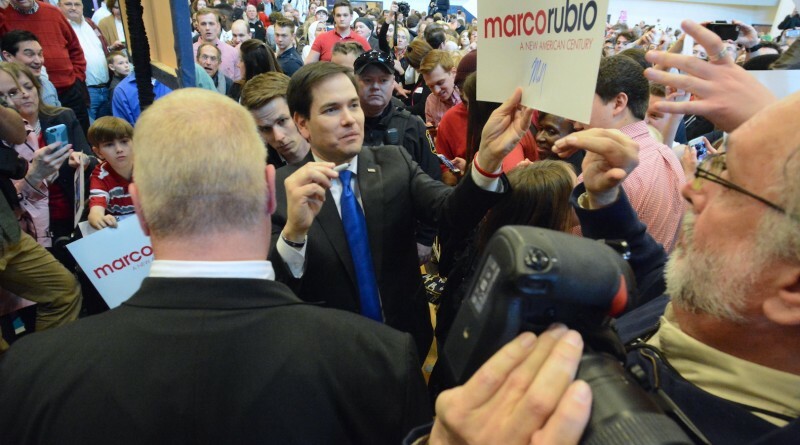 U.S. Sen. Marco Rubio (R-FL) hands out signatures after speaking at a rally at Patrick Henry College.